The city lights of Darwin disappear into the background as five photographers from Sydney and Melbourne kissed civilisation goodbye and headed into Australia’s remote Top End. Starting at Darwin and finishing at Nhulunbuy in far north-east Arnhem Land, the group drove more than 1500 kilometres and took more than 10, 000 images. Join them, as they discover the warmth of the people that call this land home and a culture that thrives more than 50, 000 years on. Plan where to trek, swim and sleep on your adventure through Kakadu. Visit Kakadu National Park more than once and get a different experience each time. See the stories of Arnhem Land through the eyes of the Yolgnu people. Crocodiles are undoubtedly the most fascinating animal in the Northern Territory. Join Ranger Greg Peckham on a journey down river and through one of the most majestic landscapes, the Katherine Gorge. Explore a dozen different landscapes on a trek across the West MacDonnell Ranges. When you wake early to the sound of birds, it’s not too long before you learn to love them. The splash of colour from some of Australia’s most beautiful and rare bird species adds another dimension of vibrancy in the Northern tropics. 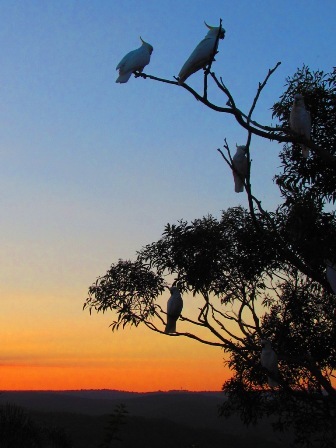 Stretching from Tennant Creek to Alice Springs and Uluru in the south, this region is home to a diverse range of rare and interesting bird species. Kakadu National Park changes dramatically with the seasons and one visit just won’t be enough.